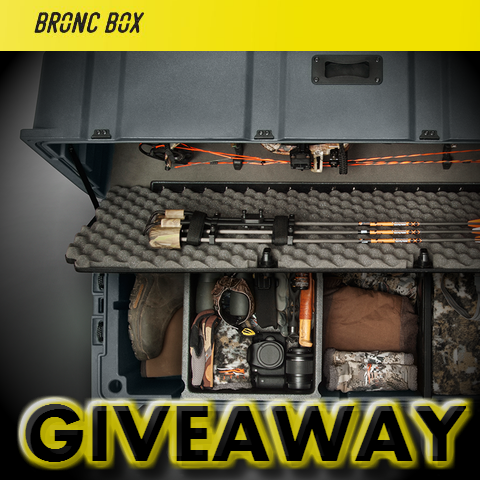 We’re giving away a brand new Bronc Box with tray, divider and light to one lucky winner. The lid of the Bronc Box was designed to safely encase your bow. Neither off-road trail nor drop-kicking deliveryman could bring harm to it. 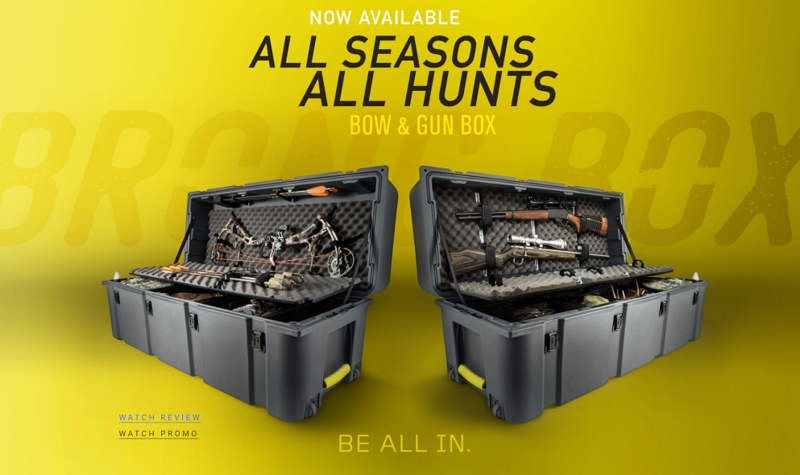 Whether you’re gigging for frogs, tracking a mountain lion, or something in between, the Bronc Box’s flexibility accommodates every kind of hunt. Compartmentalize however you want using a movable divider and a storage tray. Need to take two bows? Bronc Box offers a tray addition that holds a 42” end-to-end bow. With additional standard dividers and trays available for purchase, your options are limitless. Sign-up below to be entered for your chance at your own Bronc Box. Due to shipping constraints, giveaway is limited to shipping to USA only.